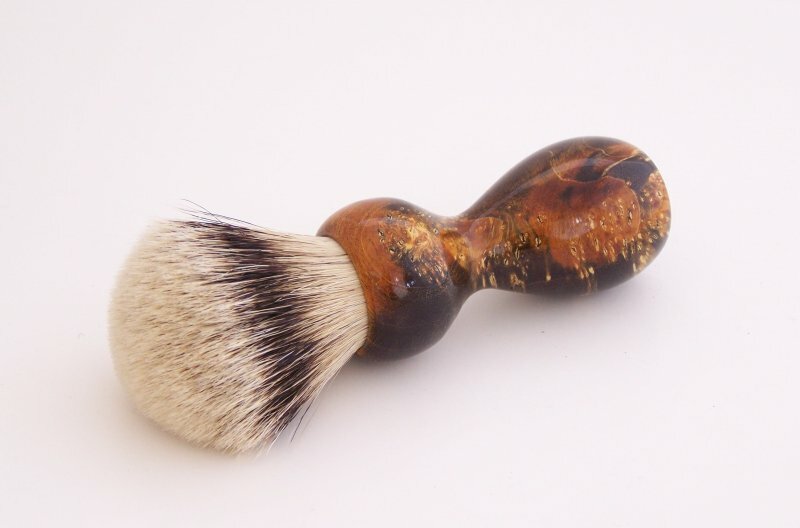 This stabilized Gold and Black dyed Box Elder Burl wood 22mm Super Silvertip hair shaving brush was hand turned in my shop. Super Silvertip knots have natural soft white tips that give the knot a luxurious feel. Super Silvertip is the highest grade premium Silvertip I carry and is an upgrade over my Super Badger and Standard Silvertip Badger. If you want the best, Super Silvertip is what you want. The knots are nicely packed and they have good backbone. The brush and handle together are 5 1/4" tall. The brush pictured is the brush you will receive. 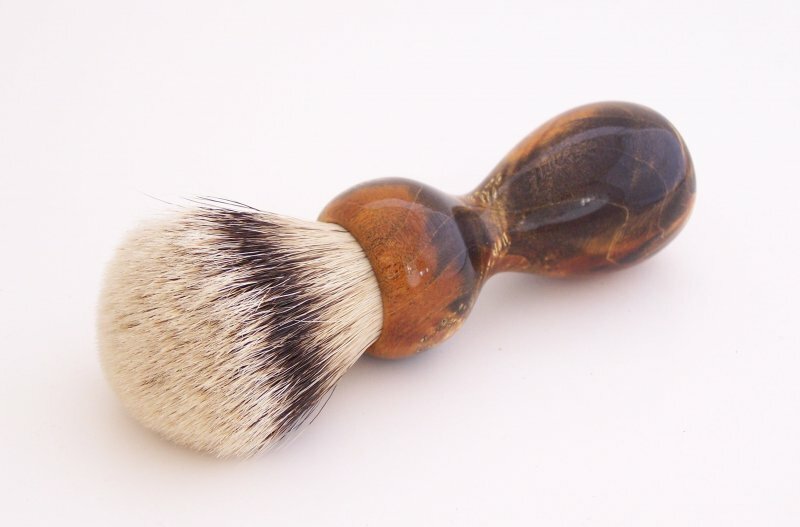 The shaving brush's finish (Cyanoacrylate--i.e., Superglue) is durable, highly polished and cannot be penetrated by water. When using the brush, you can get the handle as wet as you want during use and not worry about the wood being damaged. To maintain the finish you just need to wipe it dry after each use. 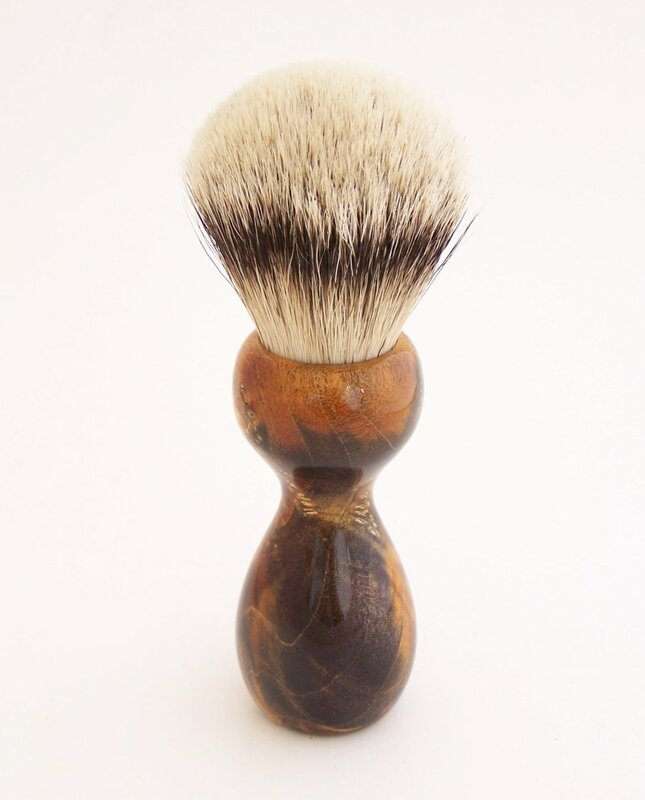 Don't buy a handmade brush unless you know exactly what is used for the finish. 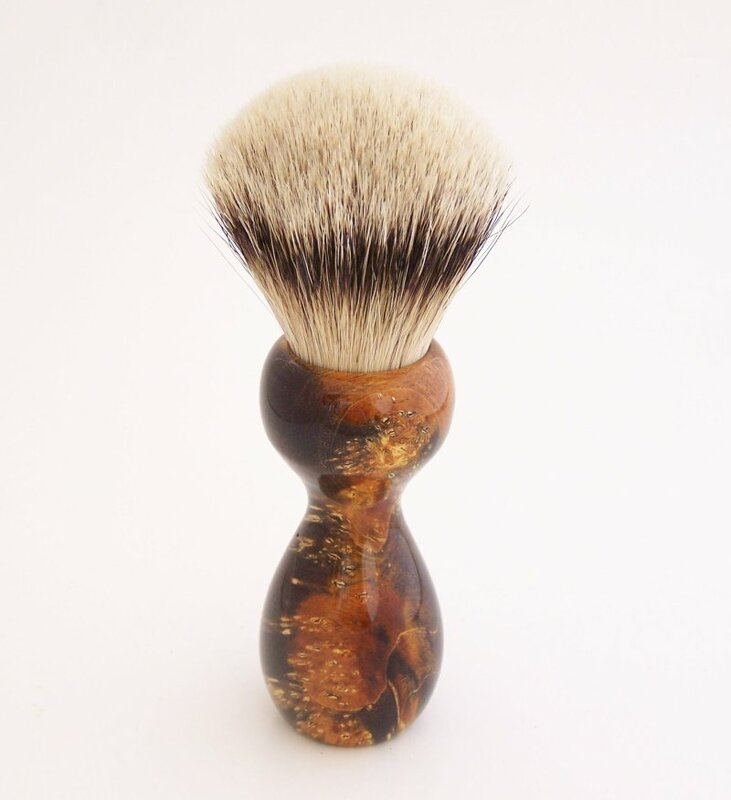 I make hundreds of custom brushes each year and this is the only finish that will last for years in the tough shaving environment. My shaving brushes are made one at a time by me at a pace that allows for the crafting of a unique and beautiful addition to your home or collection. These brushes make great gifts for those hard to get men and women in your life. If you want a custom made brush to your specifications, I have on hand an excellent selection of 40+ different types of exotic woods from around the world as well as Tru-Stone and Acrylic Acetate materials.